Evan Longoria is 23 years old. Longoria attended Long beach State for college. He was a shortstop in high school but moved to third because Troy Tulowitzki was already at shortstop. Tulowitzki is now the shortop for the Colorado Rockies. 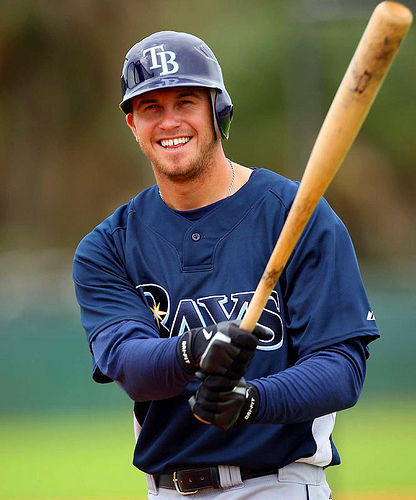 Longoria was drafted by the Rays in the first round in the 2006 MLB draft. He was the third pick. He signed with Tampa Bay and got a three million dollar signing bonus. He has only played one major league season, this year being his rookie year. 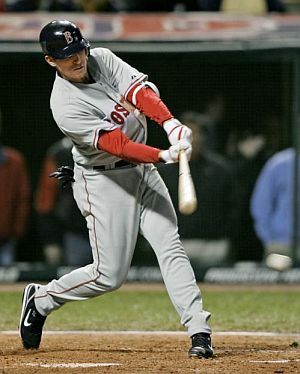 He hit .272 with 122 hits, 27 home runs, 85 RBI’s, and seven stolen bases in 122 games. He made twelve errors at third base last season. He has a .964 carer fielding percentage. This year he made the all-star game after winning the American League Final Vote. He competed in the home run derby. He finished last with three total home runs. He did go one for four with a double in the all-star game though but he did strike out twice. In 2008 he won the American League Rookie of the Year Award. He was the first Rays to win the award. 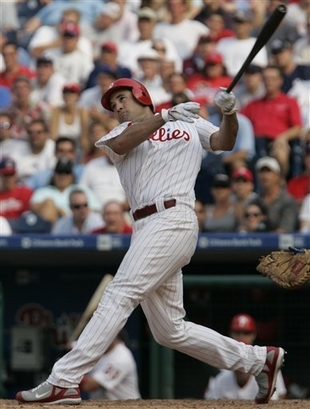 He lead the team in the regular season to the World Series where the Rays lost to the Phillies in the World Series. He went 12 for 62 with a .194 batting average, six home runs, thirteen RBI’s, and one stolen base in the postseason. In the World Series he went one for twenty. If Longoria wants to improve in spring training he should work on coming through in the clutch. Sounds like i is time to take lessons for Big Papi! He hit two home runs in his first two at bats in the postseason. Longoria has mocked for having nearly the same name as actress Eva Longoria Parker who is married to NBA star Tony Parker. When he was at visiting ballparks in the minor leagues on the scoreboard pictures of Eva Longoria Parker would pop up. The two are not related and have never met.